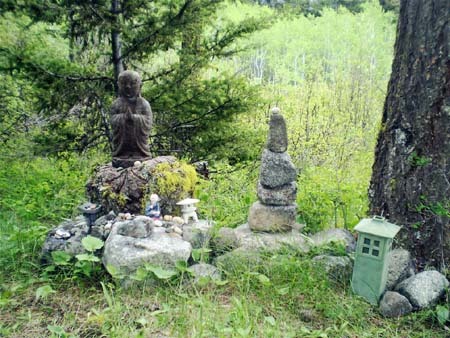 The following information is from the web page of the Lions Gate Buddhist Priory at Dragon Flower Mountain in Lytton, B.C. Dates and times may change. We will keep you informed, but please check beforehand if you are unsure. Ceremonies are open to everyone, and will be held at a Lay Minister’s house in Botanie Valley except where noted. If you would like to attend, please contact us for details. There is no charge for any of the Priory’s activities. The Priory and its monastic community are entirely supported by monetary and material donations, all of which are received with gratitude. we issue at the end of each calendar year. The Priory will be closed from December 1 to December 8 in order to allow the monks time for a monastic retreat. March 24 – March 31 (One Week): Spring Retreat (Advanced). Open to anyone who has taken the Precepts. Retreats are open to all, except for the week-long retreat in March which is open to those people who have taken the Buddha’s Precepts. Please let us know in advance if you are planning to attend. 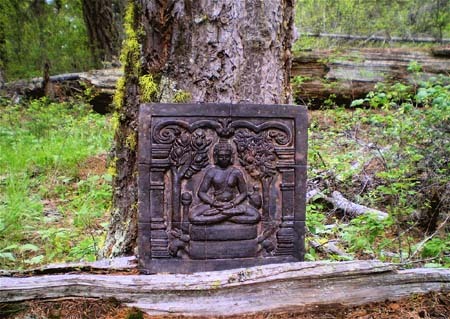 We will arrange for meditation instruction in our tradition if you have not yet received it. People are welcome to attend all or any part of a retreat. It would be helpful if you could let us know of your plans in advance. Weekend retreats will start on Friday evening at 7:30 pm and end after a Sunday morning ceremony. Some people find it more convenient to arrive on Saturday morning, and this isn’t a problem. 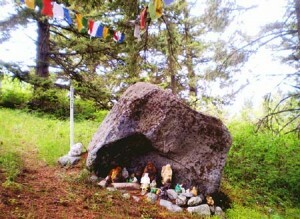 Week-long retreats will start on Sunday at 7:30 pm and end on the following Sunday morning with a ceremony. Arrivals and departures can be accommodated at other times, but please let us know in advance. Our facilities are somewhat limited and rudimentary. We have hot and cold running water, an off-grid electrical system, and an outdoor toilet. It would be helpful (but not essential) if you could bring your own bedding and towels. Camping for tents, trailers, RV’s, etc is available. We have a phone and access to wireless internet. We ask that visitors and guests put away their computers and internet-capable devices while they are here, so that this can be a place where people have an opportunity to lay aside their worldly concerns and interests and look inwards through meditation and practice. There is no mobile (cell) phone signal in our valley, but mobile phones work in the village of Lytton. Please let us know in advance if you have any allergy, health (physical or mental) issues that we should know about. We are unable to accommodate special diets except for medically necessary situations. We do not allow weapons, tobacco, alcohol or other intoxicants (including marijuana) at the Priory. We welcome any donations of food; please contact us before coming to see what is needed.